Clean, simple & made with ingredients you can pronounce, that’s what excited me about doing this review for The Greater Knead Bagel. “I LOVE BREAD” (said in my best Oprah voice possible ), especially when its free from the top allergens, like The Greater Knead bagel, formerly Sweet Note Bakery. I personally have no food allergies, but my youngest does and because he does, our entire family has changed the way we eat. 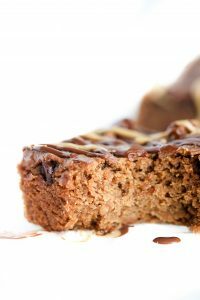 We keep away from dairy, eggs and nuts and try to reduce gluten when possible to avoid some tummy issues that arise when too much is consumed. 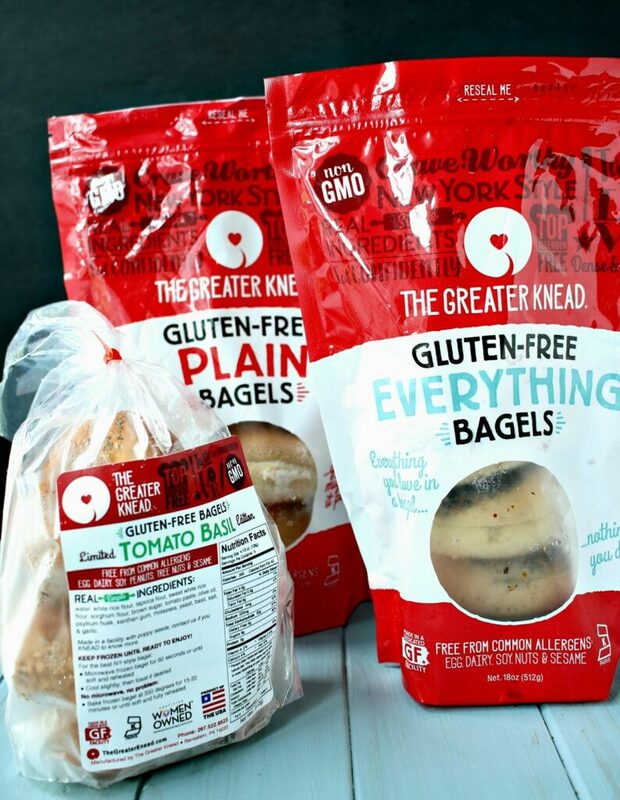 When I first tried The Greater Knead Bagel, it was actual only a nibble or two during last years FABlogCon (Food Allergy Blogger’s Conference). Needless to say, I was eager to try more of this allergy-friendly line. It’s gluten-free, top 8 free & they even take it a step farther to be top 14 free which follows the European standard. The company was kind enough to ship me 3 flavors of their New York style bagels to taste and share with you all. Because this brand contains real ingredients and none of the harsh additives and preservatives, you will find it in the freezer section. My bags were shipped frozen and I put them straight back into the freezer when I opened the box. I first tried the plain bagel and didn’t follow directions. I threw it right into the toaster instead of warming it in the microwave first. Although it was still a good flavor, it seemed to get a little rubbery by the time I got to the second half. NEXT TIME, I followed directions! Warm in the microwave first, then toast. Oh my goodness, so worth that extra 60 seconds. 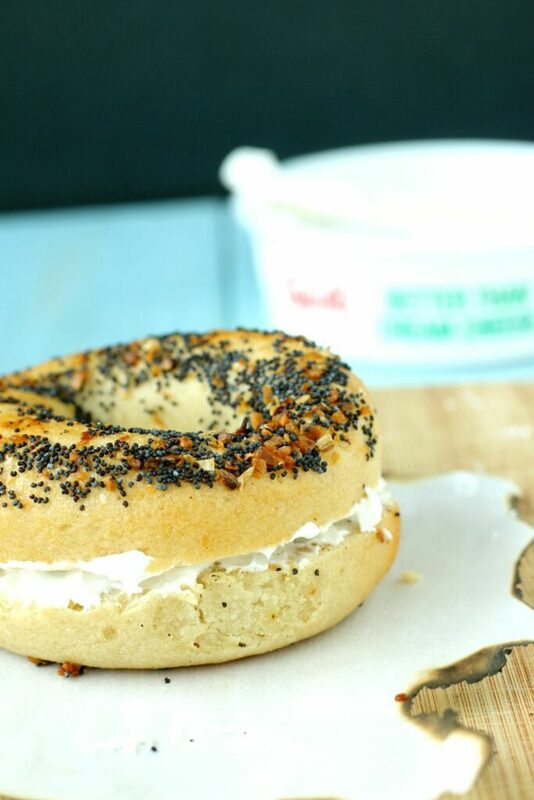 Warmed and lightly toasted, the bagel slices had a soft yet chewy texture that reminded me of bakery bagels and paired perfectly with dairy-free cream cheese. or even filled with layers of sliced veggies and some hummus. This plain bagel didn’t disappoint and my kids never even asked if it was gluten-free which is a bonus because it obviously did’t taste like it to them. This was the last one that I tried out of the shipment. 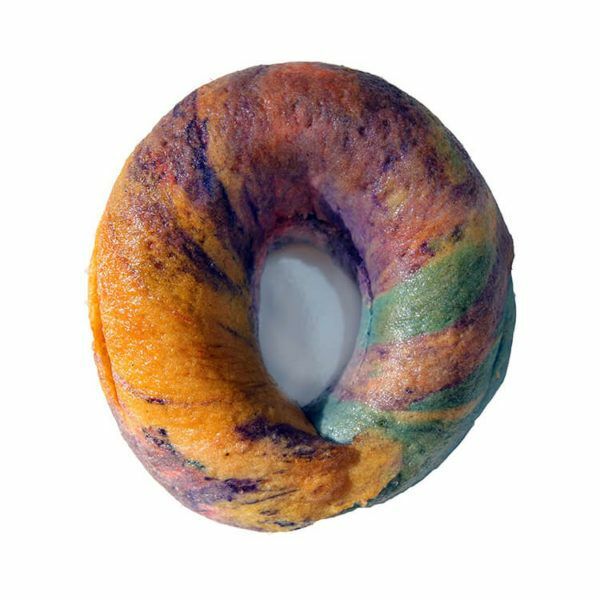 I just loved all the flavor infused in this bagel and the texture was just as lovely as the others. Soft & chewy just like a bakery style bagel should be. This would be amazing as a sandwich, layered with warm veggies & a fig jelly. YUM! This was my favorite bagel from the 3 I tried! 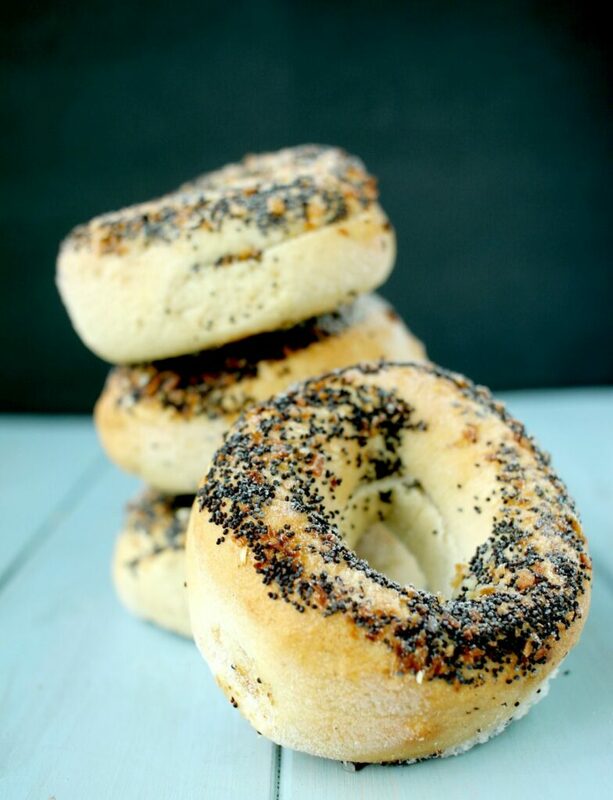 Think of it as a plain bagel, doused with a ridiculous amount of poppy seeds, dried onion & garlic. SO MUCH FLAVOR! No need to add any type of spread or schmear on this, but I always do because I also love my vegan cream cheese. When you look on their website, you can pull up the handy “locator” to find retailers that carry The Greater Knead products. You can also buy them online which I find myself doing more and more lately. You’ll also see online that there are seasonal flavors and online only flavors. You’ve got to check it out! But just in case your wondering, here are some of their other options. Unicorn- can you believe it? I haven’t tried this yet, but I MUST have this. It’s just too cute. Ok, I went there! 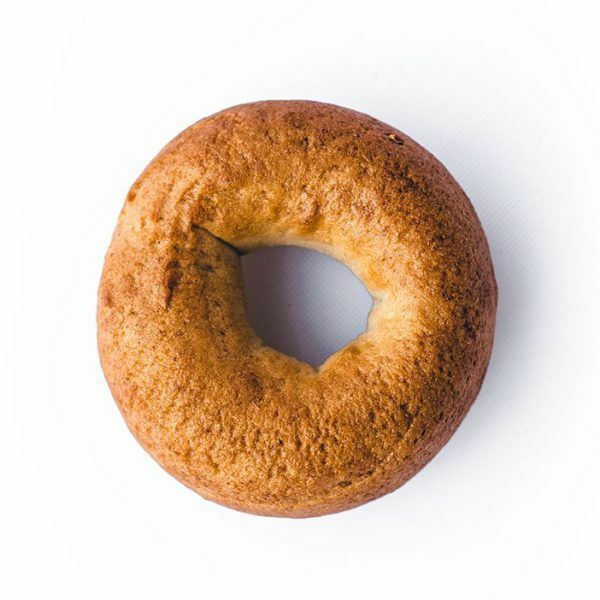 Did you know that today’s average bagel size is 6″ BUT the authentic New York bagel was 3″? 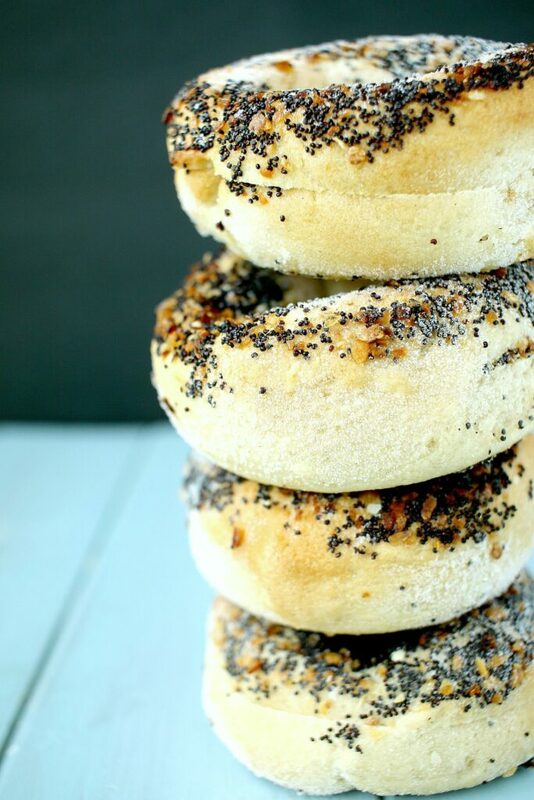 That’s because New York style bagels were created to be more dense, with a crunchy crust & chewy center. That’s what you are getting with this bagel. 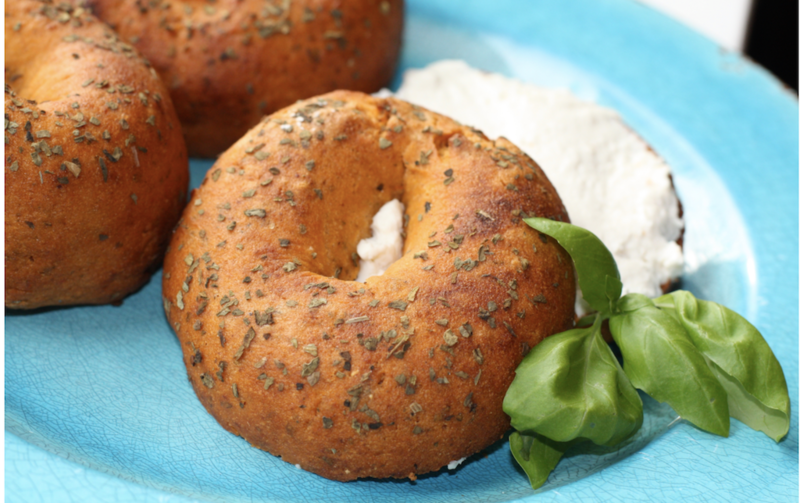 Have You Tried Any of The Greater Knead Bagels? If So, What Did You Think? If Not, Which Varieties Are You Excited to Try? 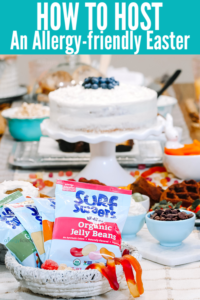 Follow Allergylicious on Facebook and invite your friends! Find me on Instagram and Tag #allergylicious with your awesome remakes! 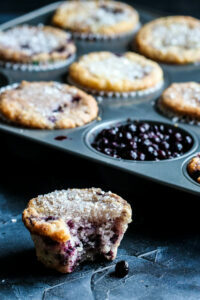 You can also find me on Pinterest sharing the newest, delicious, allergy-friendly foods. Thanks for this post. Good to know about this bagel. Next time i will buy this greater knead bagel..